HomeInsightsDo you know a climate refugee? You Will. The Earth’s climate is changing at a rate that has exceeded most scientific forecasts. Since the turn of the century the Earth’s surface temperature has increased over one degree Celsius, with the majority of warming taking place since the 1980’s. Adapting to this changing global climate may be the greatest challenge we as a species have ever had to face. Natural disasters are becoming stronger, more frequent and are forcing whole communities to leave their homes in search of a new beginning. UNHCR estimates that one person every second has been displaced by a disaster since 2009 and an average of 22.5 million people have been displaced by climate or weather-related events since 2008. Imagine the entire population of Taiwan or Niger (with respective national populations in 2017 at 23.6 and 21.4 million) forced to move because of extreme deprivation, environmental degradation or climate change induced events. Forecasts estimate that around 162 million people are at risk of sea level rise, and droughts will threaten an estimated 50 million people by 2050. The droughts will destroy the agricultural potential of areas where farmers live and work, which will force them to move to other places. For instance, the Gobi Desert in China expands 3600 square kilometres a year, and Morocco, Tunisia and Libya lose 1000 square kilometres of ‘productive land’ every year to desertification. A June 2017 NPR article titled ‘Mapping the Potential Economic Effects Of Climate Change’ points out that climate change will redistribute wealth by driving workers, businesses and agriculture away from those hard-hit regions and move them mostly toward areas less commonly affected (at least for now). The drivers for displacement vary around the world and most climate refugees seek help internally and become internally displaced persons or migrants. But, according to IOM, international migration is likely to increase in the future and will necessitate policy and programme responses that are currently lacking in most destination countries in the developed world. Climate refugees already exist in the United States, China and Africa, among other places, states Dante Disparte in a June 2017 HBR article titled: ‘If You Think Fighting Climate Change Will Be Expensive, Calculate the Cost of Letting It Happen’. Indeed, this type of migration will only become more noticeable as the effects of climate change multiply and exacerbate conflict over depleted resources (UNHCR). Resources like food and water will easily become the highest priorities when disaster strikes. As exemplified in Puerto Rico, India, Bangladesh and Nepal in the past month. Are we ready for this type of refugee? Is the world prepared for potentially entire nations to become stateless? 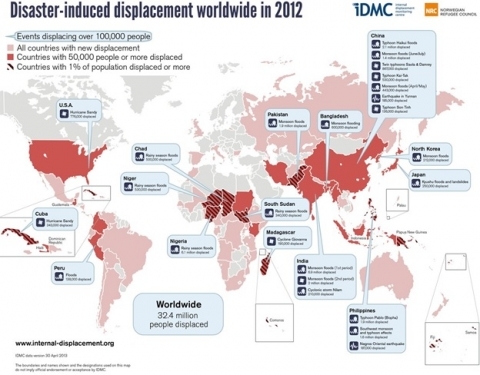 Image 1 above which shows the Internal Displacement Monitoring Centre’s map of displacement due to natural disasters or climate induced events, clearly directing the eye towards countries along the equator where most of the world’s population lives. According to the Internal Displacement Monitoring Centre, 98 per cent of all displacement in 2012 was related to climate and weather-related events. The Germanwatch – Global Climate Risk Index 2017 has also highlighted that of the ten countries most affected by climate change events between 1996 and 2015, nine were developing countries in the low income or lower-middle income country group, while only one was classified as an upper-middle income country. This implies that most countries are not prepared. From an economic perspective, Disparte’s article aptly points out that when people can’t get to work, or goods can’t be shipped to where they need to be, or customers can’t get to stores, the economy suffers. As there is a multiplier effect on local economies and bottom lines, businesses can take the opportunity to support local infrastructure in times of crisis, using their resource/industry specific capabilities to ensure that energy and access routes remain available and communications do not fail. Additional private sector support and innovation will be needed to address issues like increasing heat island effect that may soon make city living unbearable, upswings in vector borne diseases in areas previously without, and shifting tourism due to air pollution, floods, and loss of biodiverse flora and fauna. ‘The correlation between climate change, human pandemics, and economic and other risks, cannot be isolated,’ states Disparte, ‘they’re all connected.’ A savvy organisation will recognise this and can also help provide jobs for climate refugees seeking new homes and work. Money, a Time Inc. publication reported in February 2017, that there is growing evidence of the economic benefits for companies that hire refugees, and for the countries that welcome them. A report published by the Tent Foundation, a refugee support group founded by Chobani (the Greek yogurt brand ) CEO Hamdi Ulukaya, found that in Europe, every one euro invested in welcoming refugees can yield two euros in economic benefit for the country within five years, via net increases in productivity and spending. By 2030, our carbon-based economy will have shifted and new jobs that had never existed before will emerge. If you own a business, work in one or care about your local community and economy, time is running out to recognise this impending shift and adjust your business model accordingly. Planning ahead and anticipating the future needs of our changing economy while investing in climate resilience is not only good for policy, it is good for business. As Disparte puts it: ‘the business opportunities of investing in climate change, renewable energy, and human adaptation are big enough to create a new generation of billionaires.’ Just remember to support policies that encourage climate resilience and adaptation are essential to reducing the number of climate refugees we will meet in the near future, they are also the key to ensuring that we ourselves do not become one, as our chances of becoming the latter increase every day.